Blazing the trail with Fair Trade University status! 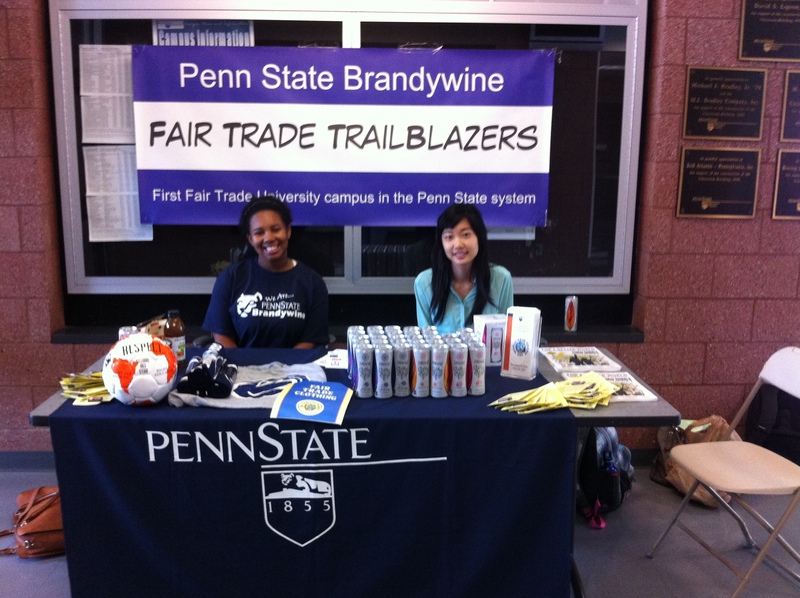 12:30 p.m. – 1:20 p.m.
Join The Penn State Fair Trade Trailblazers as we bring the Fall Semester to a close. 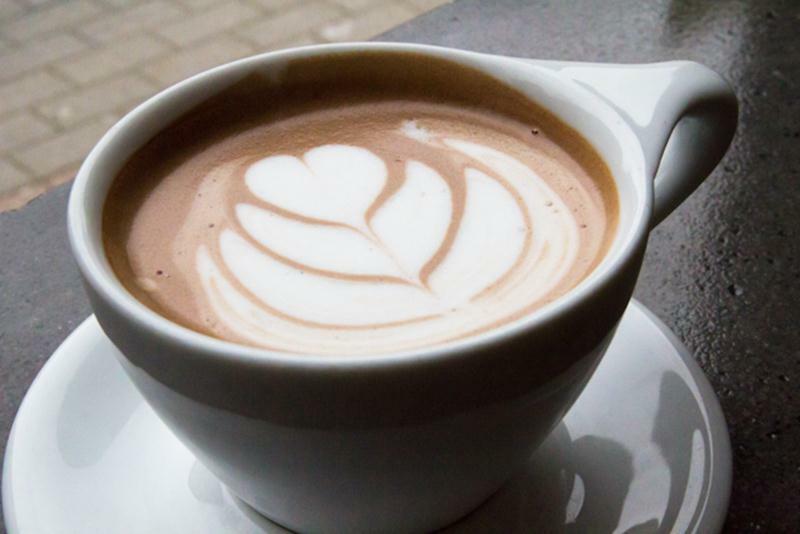 We will be giving out FREE Fair Trade Hot Chocolate during the last weeks of classes!!! Also, don’t forget to stop pass the Lion’s Pit to purchase Fair Trade chocolate bars which goes great with Hot Chocolate!!! The past two weeks the Fair Trade Trailblazers have been on the move. On October 9, 2013 the Trailblazers where in the Commons building during common hour advocating the need to Buy Fair, Be Fair during Fair Trade month. They gave out free samples of Fair Trade chocolate to their fellow peers and showed them other Fair Trade products that can be found on and off campus. This event was a huge success helping many students gain a better understanding of Fair Trade. The following week October 16, 2013 the Fair Trade Trailblazers moved to the Tomezsko Building during common hour. The Tomezsko Building is mostly dominated with Business course and many students that hang out here are business majors. Since Fair Trade will most directly affect/relate to most students in business professions. This week the Trailblazers wanted to know how many students actually know what Fair Trade is, and if they knew that the Brandywine campus is a Fair Trade University. Most students have heard about Fair Trade our at least talked about it within their classes, with few knowing that we where indeed a Fair Trade University. The Trailblazers where able to help students better understand what Fair Trade is all about while passing out beverages with Fair Trade ingredients. 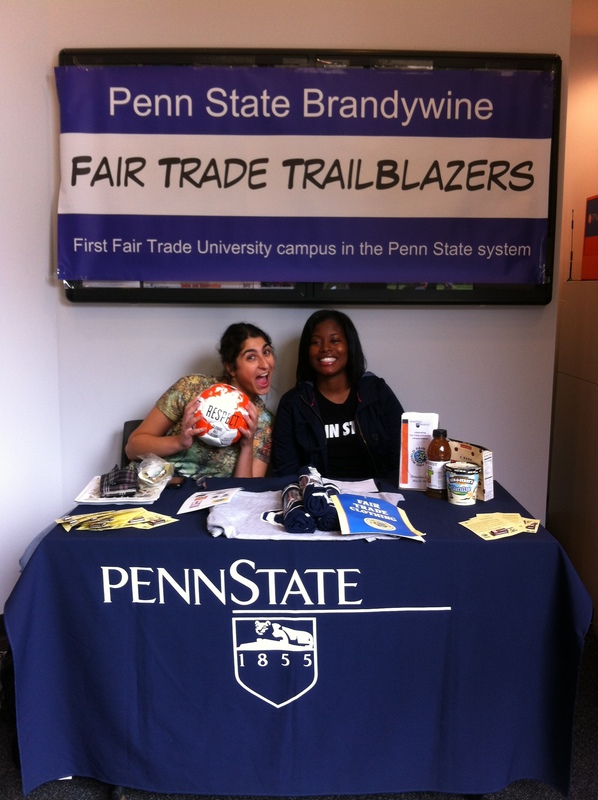 This upcoming week the Fair Trade Trailblazers will be participating in Penn State Day October 26, 2013 from 11:30 a.m.-2:30 p.m. on the Brandywine campus in Media, PA. Come out and join us for free food, games and music, and don’t forget to stop by the Fair Trade Trailblazers table!! !